This week’s How-To is a Last Minute Door Decoration Tutorial by Natalie from Woolhalla. That’s right… it’s just a few days before Christmas and I’ve been so busy I haven’t done much decorating. 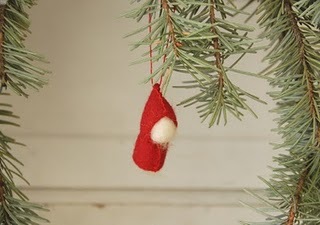 This is a simple decoration that I like to do each year, and I just started it this morning (yes, today!) and you can too. If you have access to some trees you can cut, tools to cut, and somewhere to hang what you’ve cut you can make this decoration in a flash. Then you can add small decorations you have already or make a few small ones to add. Below is a template for a simple FELT GNOME that you or your kids can make to add. Remember, this is supposed to be a fast, fun and easy activity… that’s why we don’t have our glue guns out! 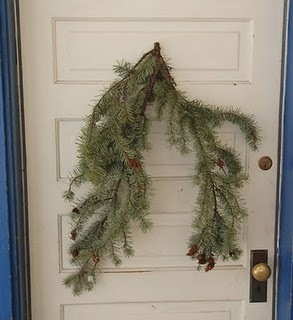 My front door already has a hook screwed in as I like to hang up things all year round. So put a screw or nail in your door for this if you don’t have one. 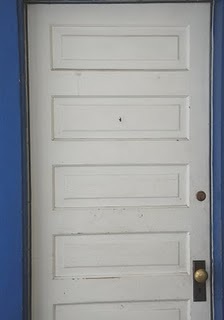 If you’re door isn’t wood or you can’t put something in it, get creative with tape and fishing wire or string. My door also has splotches from wet tennis balls my kids shoot at it while playing hockey…. oh well!! Tools you might need. 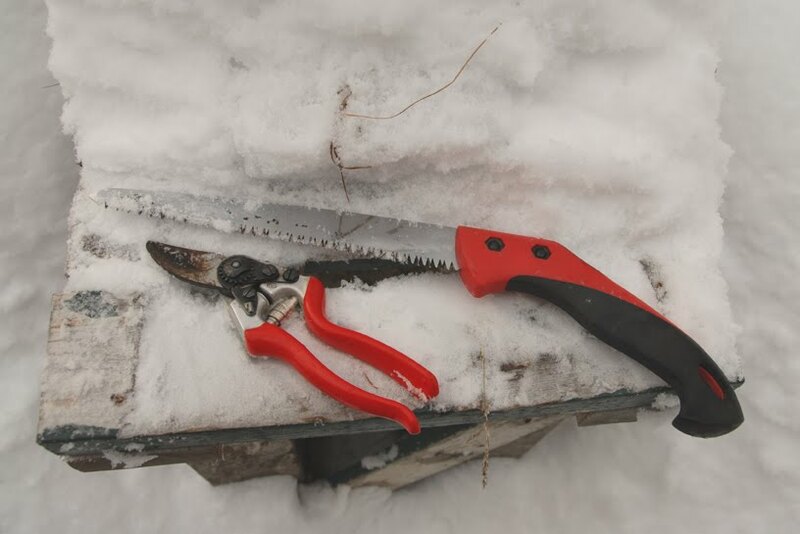 I didn’t need the little saw, but if your branch is thicker than your pruners can handle a saw will do the trick. 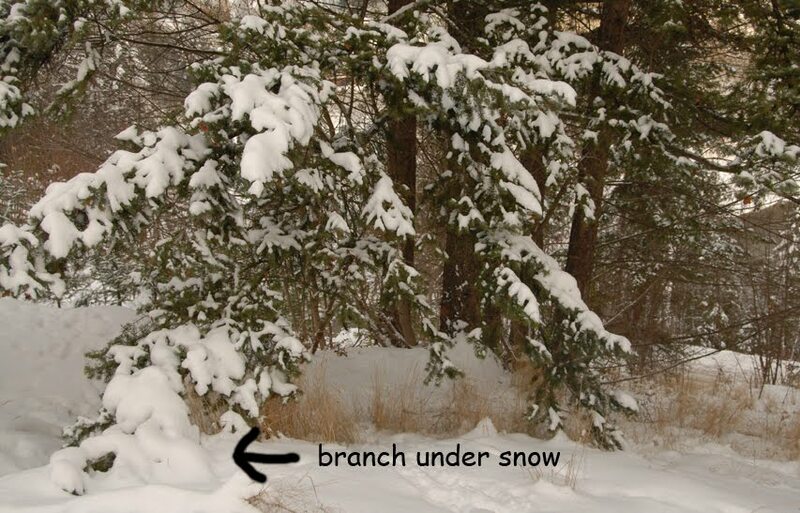 Here’s a lovely fir branch under the snow. It has a fork in the end of it. 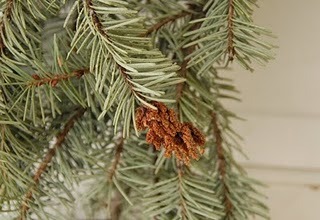 Other trees that work well are cedar and holly. Use what you have, what you can find, and what you’re allowed to cut! Branch shaken off a little before cutting. 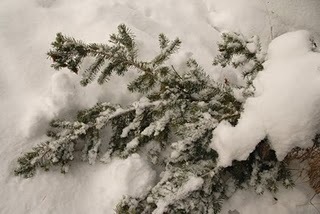 I like to make an offering to the tree I am taking part of. This tree is in my yard and I love looking at it each day, watching birds sit in it, and am very thankful for its beauty and oxygen making :o) Thank You Fir Tree! After cutting I hang the branch up on the screw on the door. 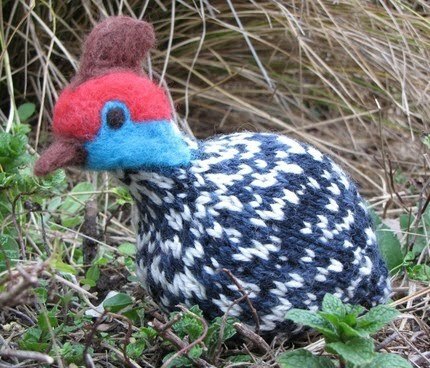 Not only does it look lovely, it covers up those pesky tennis ball splotches! Depending on your piece of branch you may already have enough decoration already provided by mother nature. In my case I’d like to add some decorations. Pictured above is a felt gnome I had from last year ready to hang. 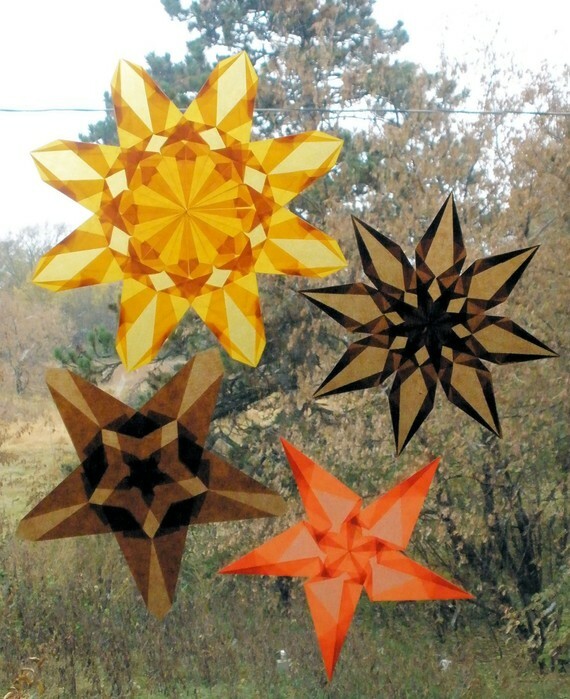 As the day goes on I’ll maybe make some stars or my kids might make some items to hang up. Small tree ornaments always look great too. 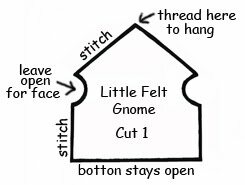 Here is a pattern to make your own little felt gnome. You might want to cut the face opening up more for a larger face. You can enlarge the template for bigger gnomes. To make a gnome: 1) Cut the paper template out. 2) Cut a the shape out of felt with the template. 3) Fold the shape in half (one side will be straight, the other will have the face openings lined up). 4) Sew the top angled piece, which is the hat section. 5) sew the straight piece below the face opening. 5) DO NOT sew the face opening or the bottom, just leave them open. 6) Take a piece of wool roving, a few inches long, fold it in half. Insert it in the bottom of the gnome, pushing up past the face and into the hat. If you don’t have enough wool to fill out your gnome, just pluck it out, add more wool and restuff. 7) To give your gnome more definition gather a thread around the ‘neck’, this is just under the face opening. Pull gently and knot off. 8) Stitch a thread through the peak of the hat to hang. 9) Hang your cute little gnomes up!! Happy holidays everyone! Hope you have fun decorating!! 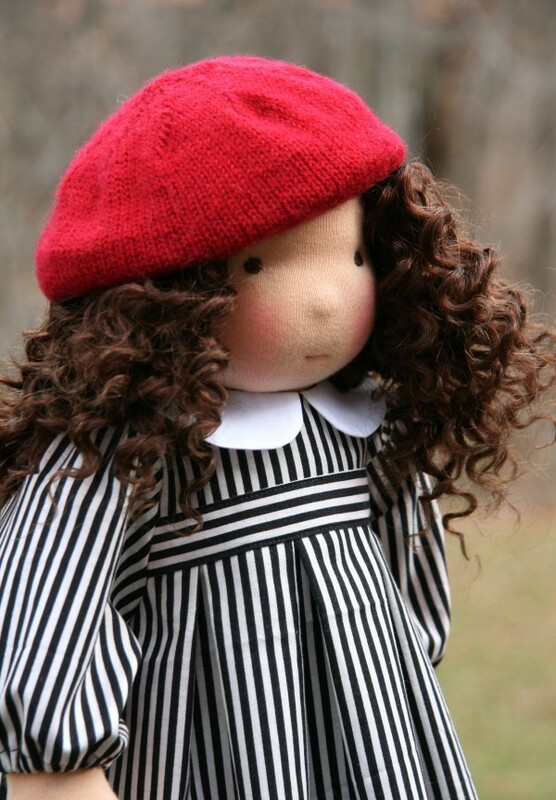 This tutorial is brought to you by Natalie, of Woolhalla. Friday Feature with Harvest Moon by Hand! Today’s interview is with Ann, of Harvest Moon by Hand. Enjoy! 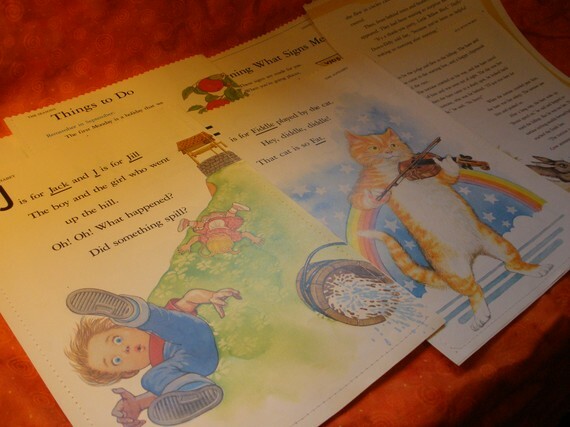 I am a stay-at-home mom who homeschools my two daughters (ages 9 and 7). Both of my daughters were born in China, and adopted at 11 months and 10 months respectively. 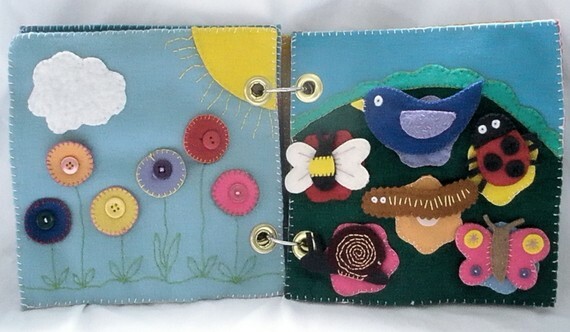 I have always enjoyed crafting – especially embroidery, needle-felting, needlepoint, crocheting, and cross-stitching. 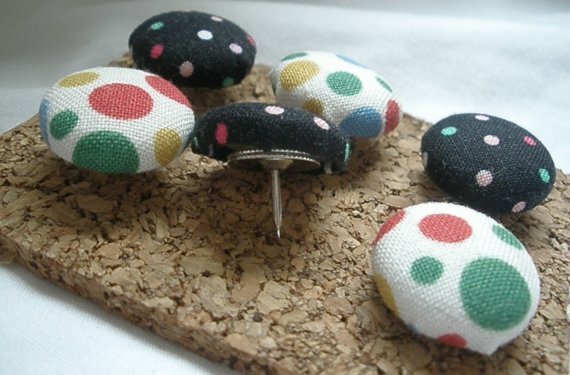 I hope to pass the joy I feel when I craft along to those who purchase my items. My other interests include: photography, traveling, reading, cooking/baking, and bird watching. My home is in Scandia, Minnesota (a small rural town about 35-40 minutes northeast of downtown Minneapolis and St. Paul) on a ten-acre hobby farm. With a miniature horse, pony, two dogs, and five cats…there always seems to be a lot of activity here. – educational supplies (e.g., postage stamp sets). In addition to these items, I also do custom orders based on what people see in my store or on my Flickr site. What got you started working with the window stars? When my daughters were younger, I took them to a weekly program at the local Waldorf school. The windows were decorated with a variety of the sun catchers, and I thought they looked so beautiful with the sunlight shining through them. While the children were playing, the parents would attend a “class” about different topics. One session was focused on creating a calming and beautiful home environment for children. I immediately thought of the stars and how they could enhance different rooms in the home. I opened an account in February 2008 after reading about Etsy in our local paper. 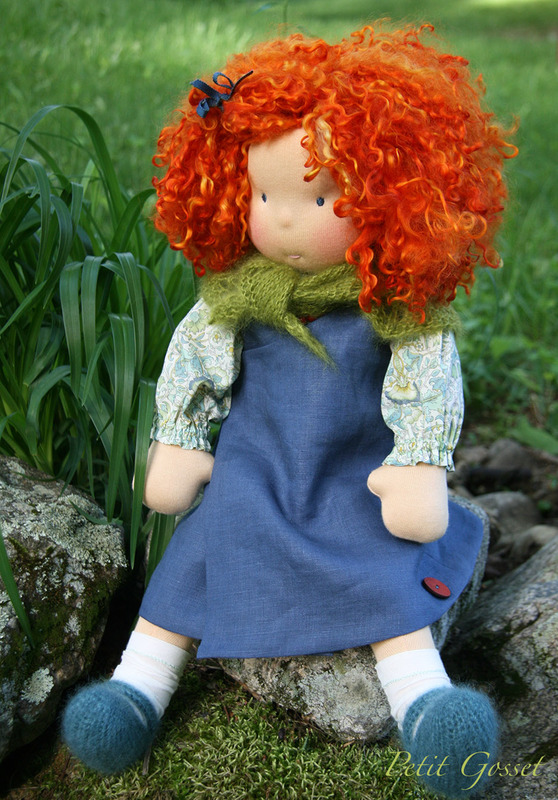 In Spring 2008, I began listing items in my shop, Harvest Moon by Hand. Being a part of Etsy has been wonderful. It has given me an opportunity to create and sell my work to people around the world. Try to stay visible by listing often, by listing a variety of items, and visiting the Forums. Include your business card and a small promotional item with each order. Being a part of the Natural Kids group keeps me aware of the breadth of natural, eco-friendly toys and home furnishings that are available. 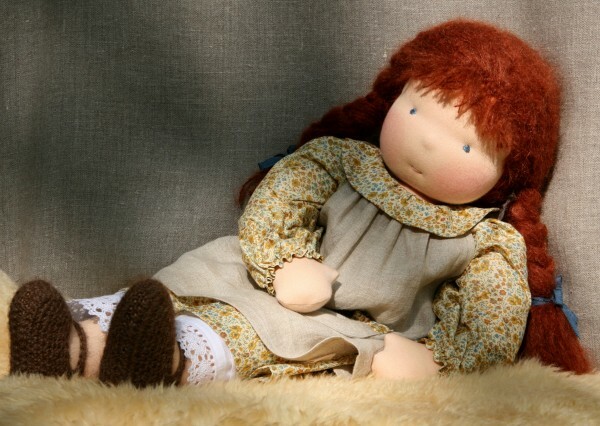 If people are looking for a place to get a well-made, handmade toy that they will be safe for their children, I always refer them to the Natural Kids website. 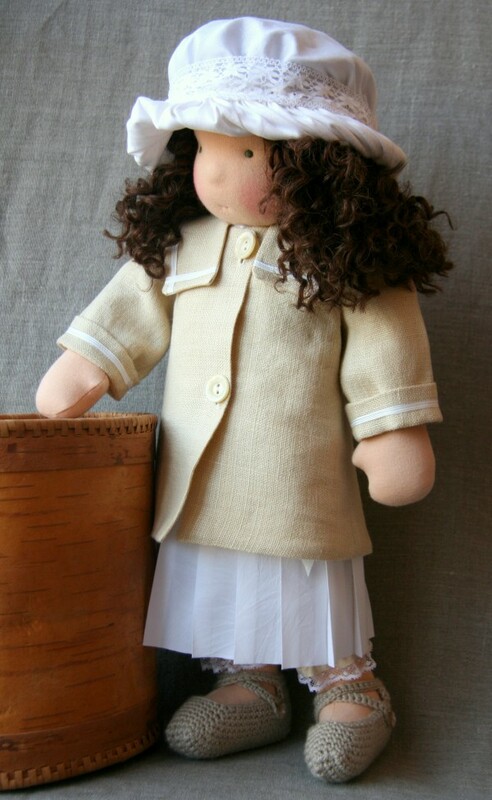 Because both my daughters love to play and use their imagination, I make many of their toys by hand – all from natural materials (primarily wool and cotton). Knowing they have quality, safe (and lead-free) toys is important because I know they won’t adversely affect their health. Natural toys – in addition to being safe for children to play with – also seem to be more open-ended which fosters deeper and more imaginative play. Children are not limited by what a toy does (e.g., makes a particular sound, can only be used one way), but rather can use natural toys in multiple ways in their play and daily life.